the devon girls.mary,les.vi.karen.enjoyed john & joys so much in 2008 that two went again in 2009 & they will get a visit in 2010. I have spent 2 weeks there September 07, May 08, September 08 and have already booked for 15th-29th May this year. BIG fan of John and Joys and the whole family there. "Sun, fun ... and nothing to do"
We have travelled the world and stayed in some of the finest hotels. This family run hotel has it's own special warm welcome. Zakynthos was one of the most beautiful destinations we have vistited/ Adventurous, fun yet relaxing & filled natural beauty. We have been twice now and can't wait to go again. The hotel and the team there are just wonderful! The location is excellent on Kalamaki Beach, and the swimming pool a perfect place to relax. The views are gorgeous. Thankyou everyone for your lovely comments, gav and I will be back next year (2006) for another summer with our new addition to our family Zara Rogers. John & Joys Hotel Phone Number +302 6950 27794 (this is also a fax line). No English tour agents have approached us, they were all booked again this year. They are really missing out on a beauti. The hotel is right on Kalamaki Beach!!! and only has 31 rooms so never over crowded. You can book direct, prices per twin room including breakfast - May EURO 30.00, June EURO 35.00, July EURO 40.00, August EURO 45.00, September EURO 35.00, October EURO 30.00. We have just come back from Kalamaki and although we didnt stay at John & Joys, we went there most lunch times for dinner and a glass of wine. Can any one tell me the webside or e mail address for this Hotel and what, if any, brochure it can be found in. Thanks. Please could you advise if this hotel has a website of their own and email address too. 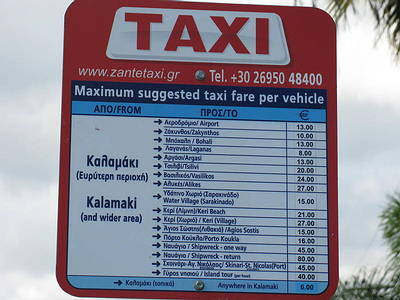 Telephone number for John and Joys hotel in Kalamaki Zante. The number shown on the website appears to be incorrect. 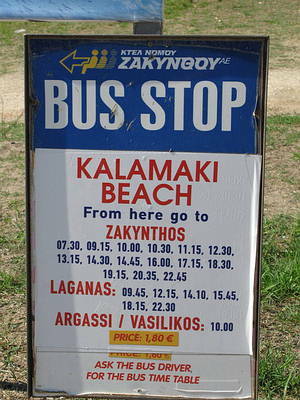 Alternatively a brochure for summer 2005 showing prices. This is a family run hotel, Micheal,Joy,Athena are the best !! they are freindly,pleasent people. The food is great and accomodation very good too. the pool is so relaxing as not many people stay by pool as the hotel is so close to the beach on about 50yards away from pool but for those of you who like pools then this hotel is a must, we stayed there july 04 and its the best holiday we have spent in kalamaki, and we have been going there 9yrs now.. as to say we will be going back to John & Joys hotel 2005. Thumbs up to all who work there such friendly people....You can book direct so go on give it a try..you wont be disappointed..
LIL the hotel is not in our brochures they are in the Chez republic brochures this yr.
Hello can anyone tell me what tour operator john and joys hotel is with? for us one of the best hotel in Kalamaki! Nice personal, clean swimmingpool, good snacks and drinks. The hotel sits right on the beach, so when you have breakfast in the morning you can sit out on the veranda and gaze at the mediterrean. It is owned by a family so they are very willing to accomodate, and advise all the best bits of the island. Great if you had a family, or a couple who wanted to get away! Food is great and if you want something particular just ask and Dimitra the cook, (that girl has been cooking since she could walk). Can't wait to get back there, hopefully I'll win the trip!